I will eat my veggies roasted, sauteed or baked long before I will even consider eating them steamed. Being a broccoli and cauliflower hound (no I haven’t tried the Broccoflower yet) these two veggies show up often at our dinner table often separately and sometimes together. 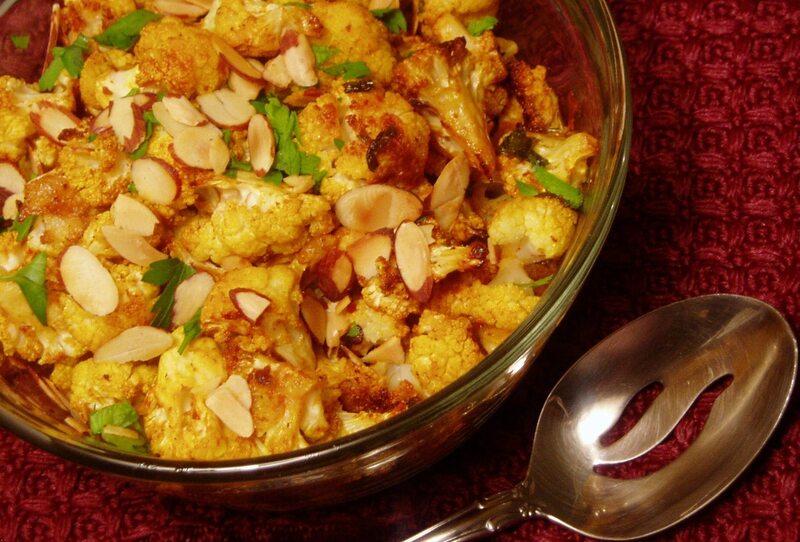 This curried and roasted cauliflower is on our table with American, Indian or Mediterranean food. It’s almost a snack for me, I manage to scarf down at least a third of it before it even makes it to the table.